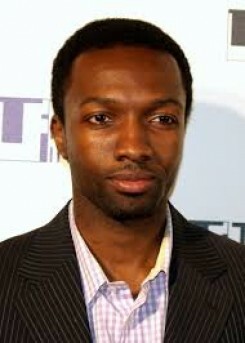 Jamie Hector began acting immediately after high school when he auditioned for a community theater company. He then enrolled in college while he continued to audition and book roles on New York Undercover, Third Watch, Law & Order, Law & Order: Special Victims Unit, and The Beat. His film work dates back to Spike Lee’s Clockers. From there he went on to appear in He Got Game,Ghost Dog, Prison Song, and Everyday People. In 2002 Hector had a brief role in the movie Paid in Full. Hector attributes a defining moment in his career to the 2003 short film Five Deep Breaths directed by Seith Mann. With Hector in the lead role Five Deep Breaths was an Official Selection of the Cannes, Sundance, Tribeca, and IFP Film Festivals; it went on to accumulate 16 awards. David Simon, the creator of The Wire, cited Five Deep Breaths as the movie that brought Hector to his attention, and led him to be cast as Marlo Stanfield. Hector starred in the 2007 film Blackout with Melvin Van Peebles and Jeffrey Wright, and was featured as recurring villain Benjamin "Knox" Washington in the third season ofHeroes. In 2008, Hector also appeared in the film Max Payne, in which he plays the role of Lincoln DeNeuf, a Haitian crime boss. In 2009 Hector appeared in the movie Just Another Day, playing the up-and-coming rapper Young Eastie, who attempts to make it at all costs. In 2010 he had a role in Night Catches Us and began filming The Gift. He voiced Emile-A239 (Noble 4) in Halo: Reach. He had a minor role in Season 2 of Jericho episode 7 where he played a corporal for the Allied States of America. In 2011, Jamie made an appearance on CSI Miami as Jean Guiton in the episode "Hunting Ground". In 2012, Jamie made a brief appearance on Common Law in the episode "Hot for Teacher".